What do people in Madrid love to eat? A Fried Calamari Sandwich! 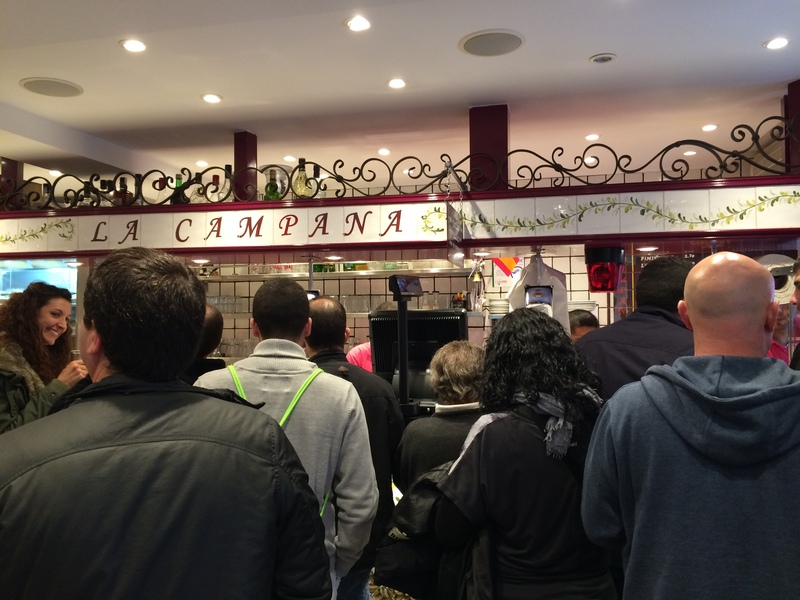 And they say the best is at La Campana. The sandwich is very simple. It’s a roll with Fried Calamari. But it is sooooooo good. A great little snack for your tummy while you look around Madrid. 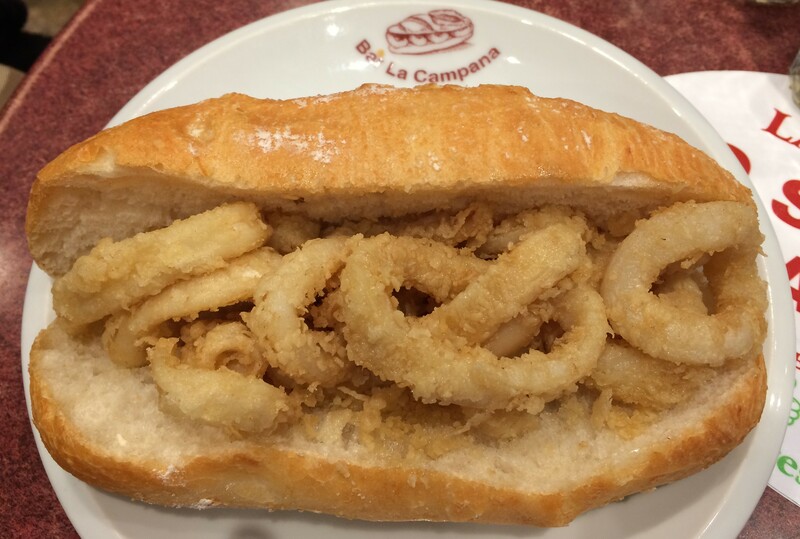 Posted in Madrid, Sandwich, Seafood, SpanishTagged Calamari, Madrid, Sandwich, SpainBookmark the permalink.